Looking for a great polygon background texture for your design? Then you’re going to love this collection of free and premium geometric and poly background textures. Low poly and geometric backgrounds are now turning out to be one of the most popular trends in design this year. They’re being used for both website and graphic designs to give the designs a retro and a pop-art look. Suffice to say, these textures do add an attractive, modern look to any project. We’ve handpicked a few great free and premium poly and geometric textures you can use with your next project! This unique geometric background features a design inspired by the Memphis design trend. It has a colorful and minimalist design that makes it suitable for website backgrounds, social media designs, business cards, and more. The background is available in JPG, PNG, and customizable AI and EPS file formats. This bundle of backgrounds includes a set of colorful backgrounds featuring different geometric shapes scattered throughout the design. It comes with 16 different backgrounds in both JPG and EPS formats. These backgrounds are ideal for creating backgrounds for apps, websites, and print design projects. A set of unique abstract backgrounds featuring spiked polygon shapes. This collection includes 10 different backgrounds with stylish polygon designs. The backgrounds are available in 5000 x 3333 resolution JPG files. This collection comes with a set of geometric backgrounds featuring a dark color theme. It includes 8 unique backgrounds with stylish designs and they are available in 7 different color variations as well. The backgrounds in this pack are ideal for creating websites and using with landing pages. This bundle includes 10 minimal and clean backgrounds that feature stylish polygon shapes. The backgrounds are available in 2560 x 1440 resolution. Featuring lots of bright and vibrant colors, these geometric backgrounds are perfect for creating designs for instantly grabbing the attention of your audience. It includes 10 unique backgrounds in 4K resolution. Another bundle of abstract backgrounds featuring polygon design. This collection includes 10 stylish backgrounds you can use to design website headers, app backgrounds, social media covers, and much more. This is a collection of modern backgrounds that feature 3D generated polygon shapes. These will fit in perfectly with your technology and startup related website backgrounds as well as futuristic poster and flyer designs. Add more color to your design projects using these attractive backgrounds. It comes with 24 backgrounds featuring polygon textures and lots of colorful designs. The backgrounds are available in 4000 x 2500 resolution. This bundle of polygon textures is quite different from the rest. It comes with 44 PNG files with transparent backgrounds featuring various styles of polygon shapes. You can use these shapes to create your own unique abstract backgrounds. As a bonus, it includes 12 seamless pattern textures in JPG format as well. This is a pack of 10 beautiful abstract backgrounds with colorful geometric shapes. The attractive design of the graphics makes it perfect to be used as a background for an app landing page, video game website, and also for websites related to kids. This unique background pack includes 10 different abstract graphics that feature cosmic-like designs with colorful lightning bolts. The graphics are available in 5000 X 3333 resolution JPG files. The perfect background graphic for a luxury brand or a store website. This low poly backgrounds pack comes with 10 stunning graphics with a unique refraction design with diamond-like shapes to add more style to your website background. A bundle of 30 background textures featuring geometric wavy designs. The pack includes 6 unique backgrounds, each with 5 different color variations. Ideal for creating everything from website backgrounds to social media covers and more. This pack of geometric backgrounds comes with 10 unique graphics you can use for your website backgrounds that feature various geometric shapes. These backgrounds are perfect for creating eye-catching website headers. The backgrounds in this pack feature polygon designs with a vintage touch. The bundle includes 10 different backgrounds in 3000 X 2000 resolution PNG files. These will fit in nicely with you retro styled minimalist website designs. The polygon shapes in this backgrounds pack come with a realistic 3D-like design. The backgrounds are available in different colors and with different shapes to let you pick just the right background for your project. If you’re working on a video game or an entertainment-related website, this background pack has 10 great backgrounds with splash graphics that will fit in nicely with your website project. This pack of polygon backgrounds features 10 graphics you can use for various projects. The backgrounds also feature a retro style grungy design. Which makes them more suitable for websites with vintage designs. This is a massive pack of abstract backgrounds with triangulated designs. The pack features over 200 backgrounds with various designs you can use for your website, social media, app designs, and even print projects. The graphics in this pack are simply perfect for creating a background or a header for a modern website. The minimalist outlined design with connected dots gives these backgrounds an elegant look that will help highlight the text on your website. A pack of geometrical backgrounds that also feature a slightly blurred effect. You can use these with your website designs, slideshows, social media covers, and much more. The pack includes 10 different backgrounds. This collection of polygon backgrounds feature a colorful design. The graphics were created using the Delaunay Triangulation technique. The pack includes 10 unique backgrounds. The graphics in this backgrounds pack were generated using 3D designs. The attractive crystal white color use makes it even more stunning. This pack comes with 12 background images in 3K resolution. The colorful backgrounds in this collection feature a design that will instantly attract anyone’s attention. This pack includes 10 unique graphics in 4500 X 3000 resolution JPG files. A heavy bundle of 40 beautiful geometric textures. The geometric shapes in this bundle are fully scalable and they can be used in any app you use, including Photoshop, Illustrator, and CorelDRAW. It also includes a PDF visual reference guide for instructions on how to use them as well. 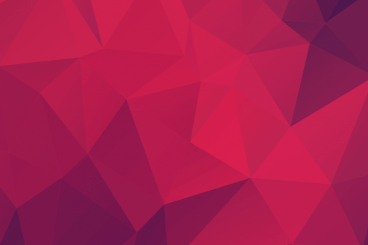 This is a bundle of free polygon backgrounds featuring a seamless design. The pack includes 5 different textures and comes to you as a layered PSD file for easier editing. A collection of 20 unique low poly backgrounds. All backgrounds in this pack feature landscape designs. However, you’ll be able to edit them to use as textures as well. A breathtakingly beautiful low poly background texture. You can download and use it for free with your web and print design projects. This is a collection of fully editable and scalable geometric vectors that you can freely use to create your own unique backgrounds. The pack comes with 10 original geometric shapes. A set of 5 HD geometric background textures. They are all available for free in 2500 x 2500 px resolution. You can use the designs as website backgrounds, poster designs, and more. These textured backgrounds are ideal for a modern and a minimal website design. This pack of geometric backgrounds includes 10 different backgrounds with 6 color variations. A pack of multicolor geometric background textures. This bundle features 5 unique textures. You can download and use these textures for free. However, you’ll have to include an attribution to its author. This pack of geometric backgrounds features a unique take on a grunge design. The bundle includes 7 original backgrounds and you’ll also be able to choose from 3 different color variations for each background as well. For a freebie, this bundle packs a lot of goodness. It includes 20 high-quality poly backgrounds you can use with website and graphic designs. They are available in 3000 x 2000px resolution at 300ppi. Another collection of poly backgrounds. You can use these for your website headers, presentations, print work, and more. This bundle includes 12 different professionally designed poly backgrounds. This set of free poly backgrounds features 4 unique textures. Despite being free, all the textures have been professionally crafted. The colorful mixed design of the textures will certainly help make your designs stand out. A collection of different poly backgrounds. This bundle includes 10 original geometric and poly backgrounds. The only downside is they are available in JPG, which means you’ll only have limited customization options. But, they come in 5000 x 3333 resolution, which is more than enough to fit any web or print design. This is a collection of 10 different poly backgrounds, specially designed for banner and poster backgrounds. However, you’ll be able to customize them to use with website backgrounds as well. All free to download. This big bundle of backgrounds includes over 100 geometric background textures. It includes 13 unique textures in 9 different color schemes. They will work well with many different types of designs. The poly backgrounds in this free bundle feature a design with a blurred effect. It includes 7 unique backgrounds with different colors and with the same blurred effect. A collection of stylish polygon backgrounds you can use with your web design, product designs, logos, headers, brochures, and more. This pack of textures includes 8 unique poly backgrounds. A set of 10 free poly background textures featuring a strong and a colorful design. These textures come to you in 4000 x 3000 resolution and are ideal for website headers, backgrounds, social media covers, print designs, and more. This bundle of poly backgrounds features 12 different textures with line-style designs. Each comes in 3000 x 2000 resolution and they will fit in nicely with both digital and print design projects. A collection of 25 premium-quality poly background for free. This bundle includes 25 unique backgrounds featuring different colors and styles. All textures comes to you in 1600px x 1600px resolution as well. A set of 12 poly backgrounds for using with modern graphic and website designs. This pack of textures features a space inspired dark design. Which makes them perfect for minimalist design projects. A yet another big collection of poly background textures. This pack includes 50 free poly background textures you can use for all kinds of design work. The designs are available in both Photoshop and Illustrator files, as well as 2560 x 1440 resolution PNG files as well. Why settle for just a couple of textures when you can get 100. This massive bundle of geometric patterns includes 100 pattern swatches, including stripes, lines, triangles, waves, zigzag, scale, grid, checker, and more patterns. Works with both Photoshop and Illustrator. Finding the perfect background texture is a time-consuming task. Hopefully, you’ll be able to find a texture for your design from our list and save your valuable time.